You know how soothing and therapeutic a warm bath can feel, but if you have trouble entering and exiting the tub, you might be missing out on one of life’s simple pleasures. 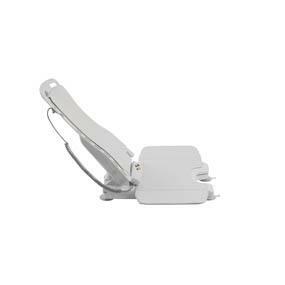 For those who Desire Independence while Bathing The Bellavita Auto Bath Tub Chair Seat Lift is the perfect remedy for those who long for worry-free mobility, along with a sense of dignity and independence while bathing. In fact, we're supremely confident you'll also fall in love with the added therapeutic benefits that will allow you to once again relax, and treat yourself while you soak away your time and the stress of the day. 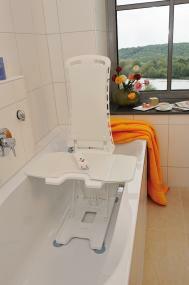 All thanks to the magic of the Bellavita Auto Bath Tub Chair Seat Lift. Imagine the feelings and comfort you will experience when: Sore muscles become relaxed; Stress disappears; Circulation improves; Energy levels improve; Quality of sleep improves. 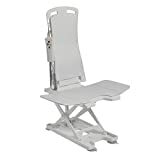 Designed specifically with your needs in mind, the Bellavita Auto Bath Tub Chair Seat Lift provides you with maximum comfort, efficiency, safety, and ease of use. Vita Bella means literally "beautiful life". So, if you find yourself wanting or needing to experience a safe and secure bathing experience that furnishes you with care-free mobility, maximum comfort and relaxation, reclaim your independence today, along with the dignity you deserve that only the Bellavita Auto Bath Tub Chair Seat Lift can provide. Go ahead. ..Experience the Drive Difference Now! 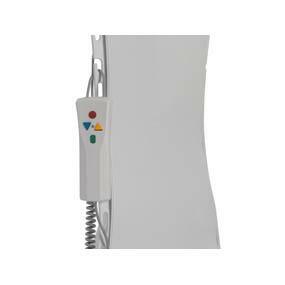 The lightest bath lift on the market at only 20.5 lbs. Seat height reaches 18.8 inches for deeper tubs. 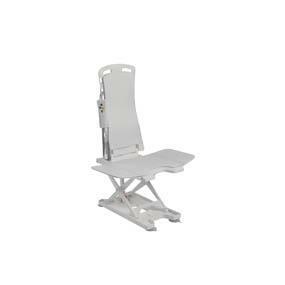 The backrest reclines to 50 degrees at its lowest position. Completely tool-free set up makes it easy to install and operate. When not in use, back easily folds down for space-saving storage. 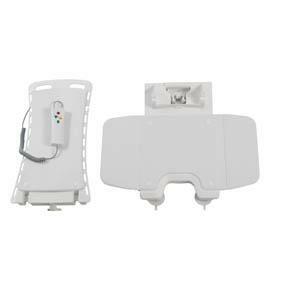 The easy to use quick charge lithium-ion battery is accommodated in the hand control. Two-piece construction makes the lift easy to assemble/disassemble for transport. Padded seat and backrest provide added comfort. Hygienic cutaway and slim line profile for easy handling. 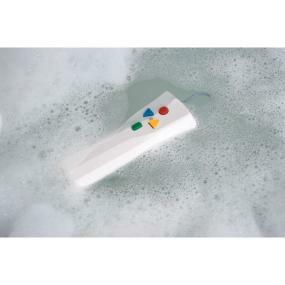 4 quick-release suction cups provide an anti-slip bath base.